It is always advisable to seek professional assistance for cleaning gutters from roof. Many homeowners do see it as a DIY job, little realising how hazardous it can be. The mere act of climbing on to the roof is itself extremely dangerous, more so if it is a second storied roof. Even if this is done, cleaning gutters and downspouts is not easy. Dry leaves often get mixed with dust, debris and rain water and form hard sludge that get caked to the gutters making it extremely difficult to clean. On the other hand, reputed gutter cleaning companies have trucks fitted with stable hydraulic ladders and the cleaning is done with powerful vacuum pumps that can suction away even the most stubborn dirt. For them, cleaning gutters from roof is an easy task. Some gutters are made of Colorbond, a type of coloured steel that is also used for roofs, walls and fencing. It has high thermal efficiency and can withstand harsh and extreme Australian weather. Colorbond roof cleaning in Melbourne is not difficult. It should first be washed with water and then cleaned with a soft brush and light dish soap at per. A gentle spray can be used to wash off. This should be done quickly to prevent any soap spots on the steel. Do it gently so that the protective coating of the steel is not stripped off. 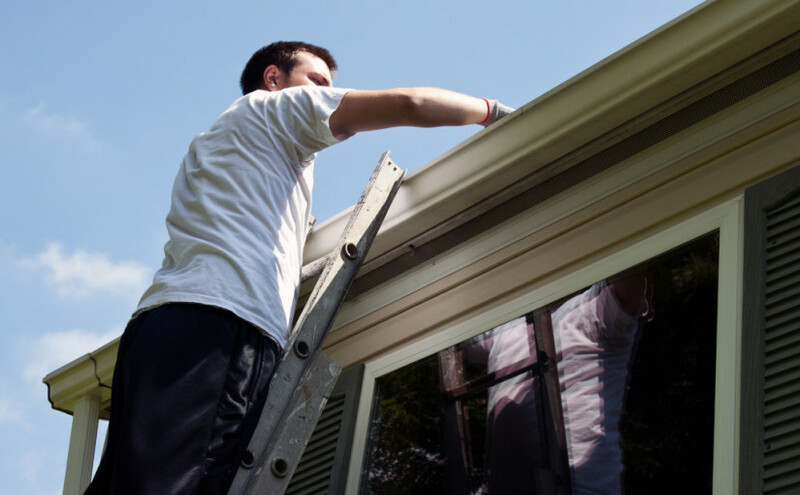 For cleaning gutters from roof or colorbond roof cleaning in Melbourne call Roof Gutter Cleaning Melbourne. We have over 27 years of experience in this field and use the latest advanced tools and machinery. All our workers are licensed and trained and can quickly complete their job. Have a maintenance contract with us. We will ensure that your gutters and downspouts are never clogged and are functioning well throughout the year.